It might sound funny—in this manliest of manly outdoor sports known as fly fishing—for someone to talk about lip balm. In my opinion, ChapStick is weak. Carmex is greasy. Burt’s Bees… whatever, nature boy. On a trip to Hawaii last summer, I came across Shaka Laka Lip Blaka. Open the cap, smell the coconut… feel like you’re in the tropics (or 14 years old when the girl next to you in the lounge chairs by the public swimming pool in suburban Milwaukee opened her bottle of Hawaiian Tropic.) Now, as much as I’d like to imagine teams of Hawaiian maidens in grass skirts brewing up big cauldrons of this magic island kissing potion, truth is, last I checked, the stuff was made in Utah. Never mind that. It works. 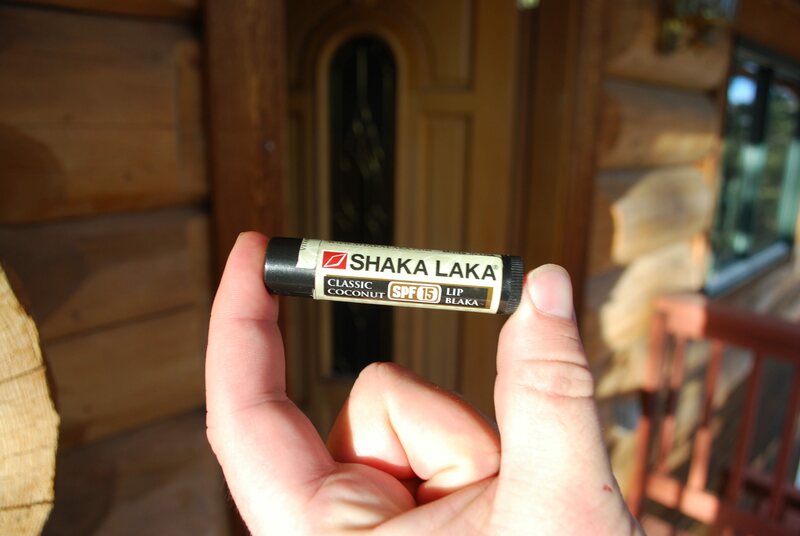 In the mountains, in the tropics, in between… better than any other lip balm I’ve used. I’m no red hot lover, but I’ve fished a ton in the sun. And I carry the Shaka wherever I go now.